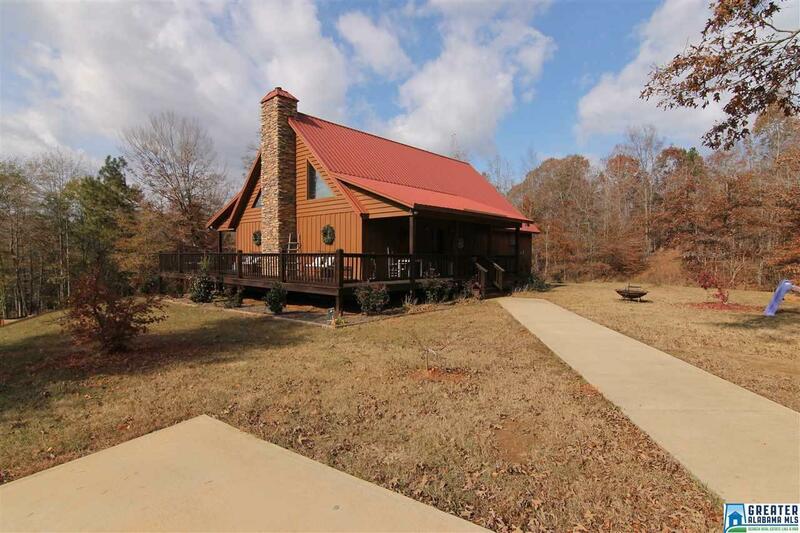 Charming 3 Bed/2 Bath home sits on 21Â± acres. It&apos;s a beautiful, private place with creek running through property, 2-3 acre fenced horse pasture, green fields & heavily wooded in hardwoods. Nice views from wrap around porches & decks help you realize how secluded you are! Storage building with lean to for storing your tools & toys. Home is quite spacious with family room/dining area/kitchen, master suite & one additional bedroom on main level. Upstairs is 3rd bedroom & additional bathroom. Hardwood floors, tongue & groove pine & heart pine walls and fireplace with wood stove compliment the relaxed, welcoming atmosphere of home. Kitchen consists of custom cabinets, stainless steel appliances, granite, & large island. Master suite has built-in storage, his/her closets, & claw foot tub in bathroom. Partial basement w/ laundry room. Young couple built this as their dream home but due to 1 hour commute to their job, they need to relocate. Beautiful place ready for your memories! Driving Directions: Property Has A Wadley Mailing Address But Is Located 10 Minutes From Roanoke.